In the Kolbe Hotel Rome, the Ancient and Modern blend to create a new form of hospitality. The building's fascinating history paired with Rome's timeless beauty creates a breath taking atmosphere and an unforgettable experience. Surrounded by the magnificence of ancient Rome, only a few steps from the Circus Maximus and the Imperial Roman Forum, the building is located in an evocative and prestigious area right in the heart of the city. In order to achieve its current appearance and interior design, a meticulous and skilful renovation was necessary for both preserving the building's ancient architectural features, while at the same time enabling it to be a state of the art hotel. Ancient in it's history, but with the service and facilities of the most modern and prestigious accommodation. Our luxurious rooms and suites will cushion you in comfort and tranquility – while outside, the timeless, romantic atmosphere of Rome awaits you. An oasis of charm and peace, the hotel features a romantic internal garden with a dream-like atmosphere. From breakfast to lunch, or a candle-lit dinner, our garden restaurant and bar will ensure your total relaxation. The building is located in an evocative and prestigious area, right in the heart of ancient Rome and next to the city's river, the Tiber. All around, you can see the remains of the great Roman civilisation such as the Roman Forum and the Circus Maximus – both only a few metres away. Continue your walk to the Coliseum and Piazza Venezia and finish your wander through the past slipping your hand into the mouth of the "Bocca della Verità" the "mouth of Truth" is found inside the gorgeous church of S. Maria in Cosmedin. Take a look at our Location page for more detailed information. All major tourist attractions are within walking distance. The Roman Forum is literally across the street, while the Circus Maximus, the Coliseum and Piazza Venezia are only a short walk from the hotel. Likewise, the subway station "Circo Massimo" is within easy reach (800 meters). By taking the metro, guests are assured of access to all of the city's main tourist attractions within minutes. The inner core of the building that hosts the Kolbe Hotel Rome dates back to 1625. After a series of additions and renovations, the structure became a monastery in 1912. The last, most radical metamorphosis took place in 2007, with a meticulous renovation that gave the hotel its current appearance, while retaining the original unique features, as well as a portion that is still a monastery to this very day. The Hotel is named after Father Maximilian Kolbe, a Polish priest who lived and studied here when it was the International College of the Order of Friars Minor Conventual. 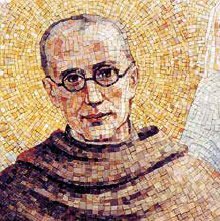 After his studies in philosophy and theology, Father Kolbe founded the Milizia dell’Immacolata, a work of devotion to the Virgin. Having returned to Poland, he was deported to Auschwitz during the Nazi invasion, where he gave up his own life in exchange for that of another prisoner who had been condemned to death. For this heroic act, he was awarded sainthood in 1982 by Pope John Paul II. A chapel and a small museum in the Hotel are dedicated to Father Kolbe.